2010 Independence Day Bombing: Charles Okah sentenced to life imprisonment – Royal Times of Nigeria. 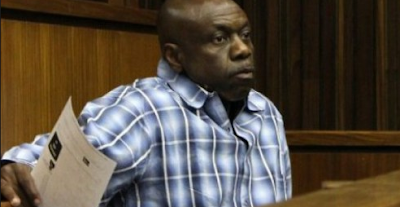 A Federal High Court in Abuja has sentenced Charles Okah to life imprisonment. The elder Okah had been sentenced for a similar crime in South Africa, where he was based. Charles, who is the younger brother of Henry Okah, was also involved in the 2010 Independence Day bombing in Abuja. He was sentenced alongside Obi Nwabueze, his co-accused for the crime. Justice Kolawole found the defendants guilty as charged for being responsible for the March 15th 2010, bomb blast which claimed one life in Warri, Delta State and the October 1st, 2010 bomb blast near Eagle Square in Abuja which claimed several lives. Justice Kolawole added that the second defendant, Obi Nwabueze, particularly made himself available to run illegal errands for Henry Okah who provided N1.2m used to purchase five fairly used cars deployed for the Warri blast while Charles Okah, provided the sum of N2m used for the purchase of the four cars deployed for the Independence Day blast in Abuja.